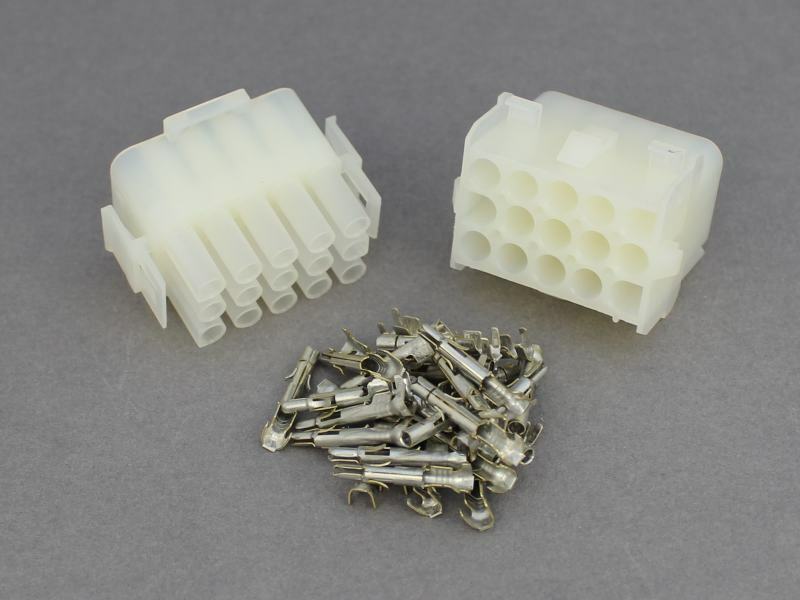 15-Way Mate N Lok Universal connector offering secure and robust multiple connections for cables from 0.5 - 2.0mm². Male pins and female sockets are crimped onto the cables and then inserted into the the housings; the tabs on the terminals locking them in place. Latches on the male housing lock onto the female housing when they are assembled, preventing accidental dis-connection. 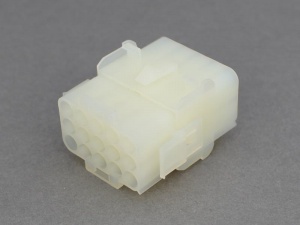 The clever keyed design also prevents the housings being connected incorrectly. Seems to work well and a good price. Pins are a lille fiddly to crimp securely but a few spare wee included which was useful. 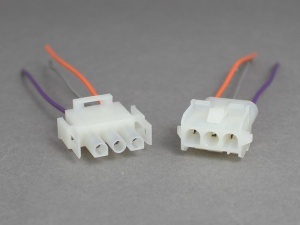 Information on whether it's possible to demount pins from plug would be useful.